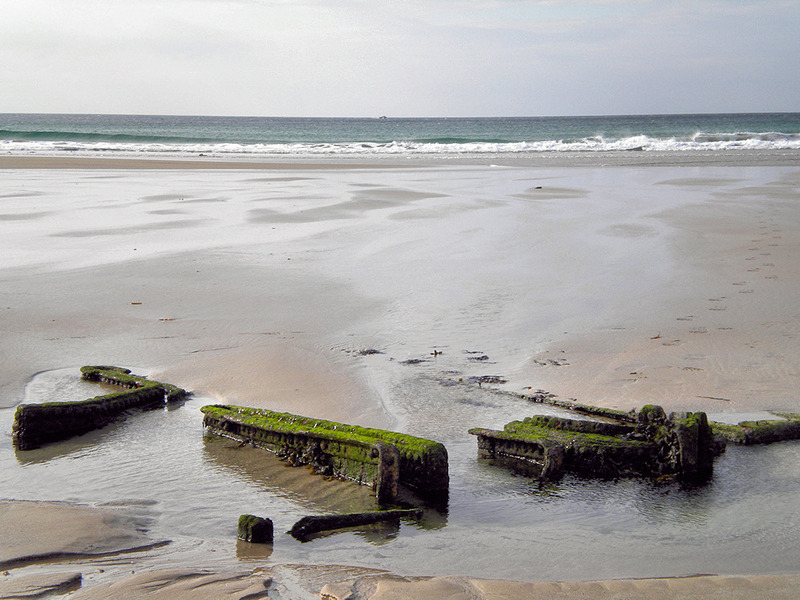 A view of the wreck on the beach in Machir Bay on the west coast of Islay. If you look closely you will also spot a small ship passing at the horizon in the distance. This entry was posted in Beaches, Cloudy Weather, Landscape, Repost and tagged Islay, Kilchoman, Machir Bay, Rhinns of Islay, wreck by Armin Grewe. Bookmark the permalink.